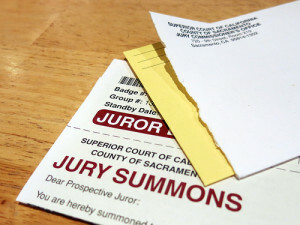 What is a grand jury and its function? You have undoubtedly heard about the police shootings of Michael Brown in Ferguson, Missouri and Eric Garner in New York. Both men were unarmed and both deaths were investigated and presented to a grand jury for possible charges against the police officers involved. In both cases, the grand jury declined to charge either officer with any criminal activity. So, what is the purpose of a “grand jury” and how does the system work? These are good questions in view of the community reaction to these decisions. Demonstrations across the country have led to further violence and arrests in the Garner and Brown cases. The person under consideration is not “on trial” for any crime at this point. The grand jury only decides what if any charges should be filed. Their decision results in an “indictment” against the person who is then formally charged and then proceeds through the state’s criminal justice system. The defendant can plead guilty or not guilty and if the latter, then go to trial where a jury decides whether he or she committed the crime based on the higher standard. Judge Tom explains the difference between a grand jury and a trial jury in the video below.